Thank you, Oriental Trading for sponsoring today's conversation! We've had a conversation about Christmas time items being found at Oriental Trading, but there is another element I'd like to share with you. Winter in general! Winter is always overshadowed with Christmas Joy, but not at Oriental Trading. They are able to offer products for both! With winter we see colder temperatures, the New Year, and hot chocolate! 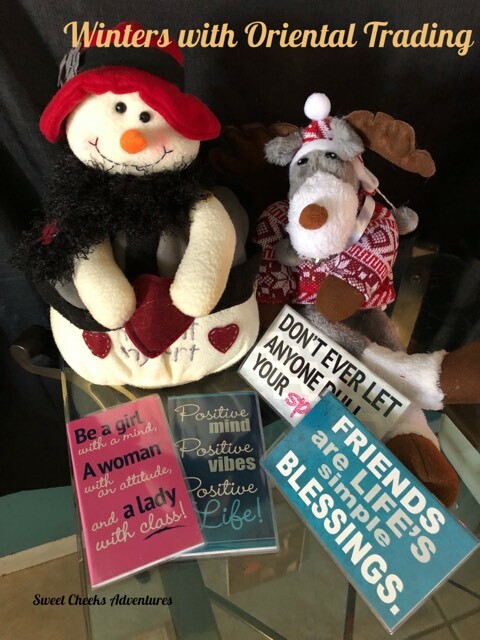 This year, I ordered a few things to hand out to my friends, in hope they'll make appointments, enjoy cocoa and have a few smiles as they look fondly at the cute, cuddly friends offered at Oriental Trading! The cute friends I ordered from Oriental Trading go great with the decor I have set up around my house for Christmas. 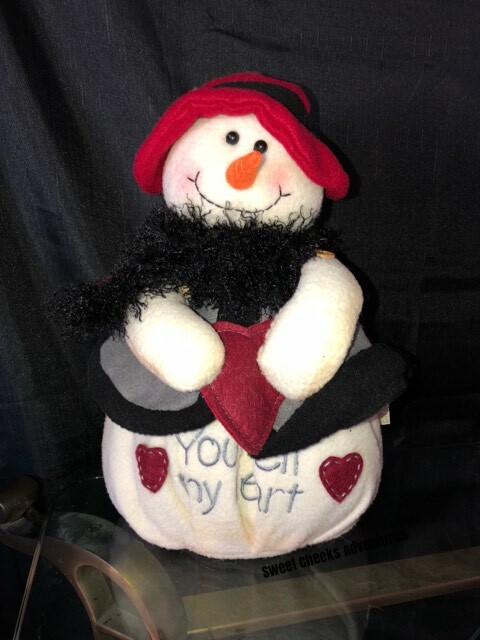 This sweet Snowlady is very soft! She's been hanging out on the end table, being sweet as can be. Her tummy says "You Melt my Heart." Her little reindeer friend has legs that you can manipulate. I love it! So cute! 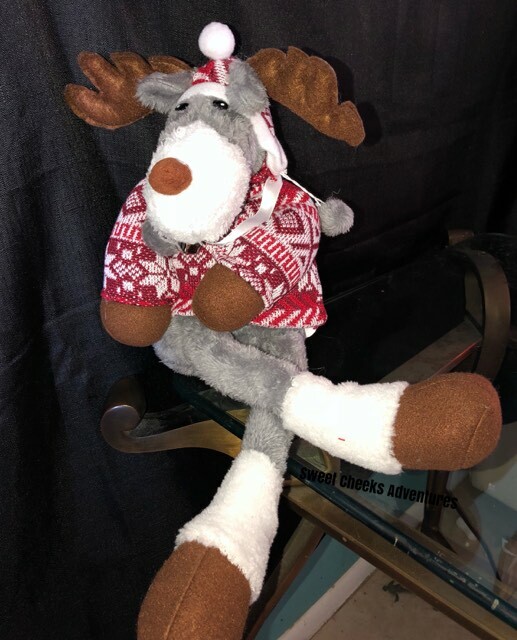 You can place him on the edge of the shelf or straighten the legs out for table sitting! He has bells on his hat and his sweater is so festive! He is very soft too! I'm very excited to hand out these inspirational 2018/2019 calendars at the new year to my friends. I have a few that can't seem to make it to hanging out on time. You better believe they'll be feeling the love of organization this year! You can't really go wrong with inspiration, small enough to fit in your purse and a 2 year long organizational tool! Oriental Trading wins again! Every time I order, I am filled with excitement. The wide range of items offered on their website is sure to make everyone happy! Take a look and find what fits you and yours!